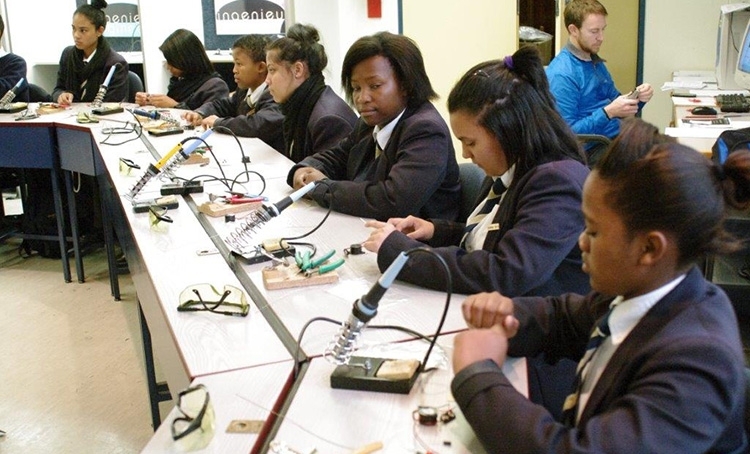 Sunstep, a classroom electronics workshop facilitator, invited the Christel House South Africa 8th and 9th grade students to attend a two-day workshop for Science and Technology. The workshop was held at the Electrical Engineering Department at Stellenbosch University. Sunstep aims to teach electronics in a fun, hands-on approach. During the workshop, Christel House students were taught how to make alarm systems as well as introducing them to the components used. Each student successfully created their own working alarm system, which will be used for a future class activity.